Our client, Mr P, suffered a multiplicity of serious, life changing injuries as a result of a motorcycle accident. Mr P, who was in his thirties, was injured whilst riding his motorcycle in Hastings. The defendant’s car pulled out of an adjoining road, into the path of Mr P’s motorbike, resulting in an unavoidable collision at 40mph. Mr P was thrown from his motorcycle, over the car’s bonnet, and landed on his back, with the back of his helmet striking the road surface. Mr P’s recollections after the accident were continuous. He was taken by ambulance to Brighton & Sussex University Hospital where he remained for three days. Mr P’s physical injuries were the main focus initially. He suffered with soft tissue, spinal and shoulder injuries which aggravated a pre-existing problem Mr P suffered with. He went on to make a reasonable partial recovery of those injuries. Mr P initially instructed a firm of solicitors through his motor vehicle insurers, who thought the case was worth less than £25,000. However, Mr P’s family became increasingly concerned about his various symptoms leading him to instruct Oliver Chapman at Thomson Snell & Passmore, four months after the accident. Neuropsychiatric symptoms: disturbed sleep, irritability, mood swings, low mood, excessive tiredness and PTSD symptoms. He also presented with post concussion symptoms including confusion, irritability, headaches, flashbacks, pins and needles, lethargy and poor sleep. He exhibited decreased motivation, lack of interest, low self esteem and low self worth. He reported derealisation and impulsive behaviours that included an impulsive overdose, reported thoughts of self harm, fluctuating anxiety, nightmares, anxiety with car travel and re-experiencing phenomena. He demonstrated heightened irritability, aggression, reduced patience and reduced frustration tolerance. The defendant’s insurers were initially sympathetic and, over the course of 18 months, made several interim damages payments to fund neuro-rehabilitation and support for Mr P. The rehabilitation included the input of a case manager together with childminding assistance, psychotherapy, specialist occupational therapy, some personal training and a taxi account for Mr Ps travel to treatment sessions. Mr P was starting to make progress, was starting to be able to look after his children again. His goal was to attempt to commence a gradual return to paid or voluntary part-time employment. However, the defendant terminated the funding for the rehabilitation and provided covert surveillance taken of Mr P. They alleged that the surveillance showed Mr P had been fundamentally dishonest. The defendant stated they planned to commence proceedings against Mr P for being deceitful, and that they planned to pursue Mr P, and anyone who assisted him, for committal proceedings for contempt of court. Unfortunately, following the removal of the neuro-rehabilitation treatment, Mr P’s neuropsychiatric condition regressed. The surveillance evidence, coupled with the defendant’s threats to sue him and his family, damaged him psychologically and his dependence on alcohol increased. The allegations were, of course, taken seriously; after careful consideration of the defendant’s surveillance and medical evidence, we concluded that Mr P had not been dishonest, nor was he a malingerer, and as such the defendant’s allegations were firmly denied. We did not accept the defendant’s invitation to withdraw the case. Instead we sought further expert evidence and numerous witness statements in support of the case. Court proceedings were issued and, following the exchange of witness statements and expert reports, a joint settlement meeting was arranged. Oliver was able to negotiate an out-of-court settlement of £350,000 for Mr P. The size of the settlement indicates that the defendant accepted that Mr P’s symptoms were genuine. Mr P intends to use the damages to obtain further rehabilitation with a view to returning to paid employment. 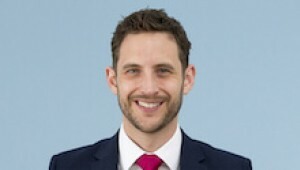 Oliver Chapman specialises in personal injury cases. If you would like to ask Oliver a question about a potential case, or if you have a general query about any personal injury, contact Oliver at Thomson Snell & Passmore solicitors on 01892 701234 in confidence.